First Independent Bank executive vice president and chief operating officer Jeanne Firstenburg this week added a new title to her credit: president. In a statement released Thursday, First Independent's Board of Directors announced it had tapped Firstenburg to lead the Vancouver-based bank, with total assets of nearly $1 billion and 20 regional bank branches and offices. The bank's former president, Bill Firstenburg, will remain CEO and chairman of the board. Previously tasked to lead First Independent's rebuilding efforts of its products, systems and services, as president Firstenburg will assume responsibility for the bank's loan portfolio as well. 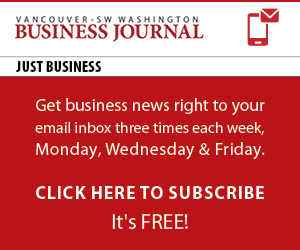 "There has been lots of long-term strategizing that I will be able to be even more aggressive in working on," Firstenburg told the VBJ earlier this week. Firstenburg's appointment came at the end of a month filled with staffing changes at the privately-owned bank. On April 19, the First Independent announced that it had reorganized several departments into a new strategy and development group led by Stacey Graham. Earlier in the month, the bank tapped two commercial lending veterans to lead its credit administration team. When asked if the recent hiring moves signaled a newly-aggressive stance by First Independent in regards to writing new loans, Firstenburg sounded a cautiously optimistic note. "We don't think that the light at the end of the tunnel is a freight train anymore," she said.